LOCATION.--Lat 42°32'28", long 75°53'59" referenced to North American Datum of 1983, Cortland County, NY, Hydrologic Unit 02050102, on right bank 150 ft upstream from Mead Brook, and 300 ft downstream from bridge on County Highway 159 at Cincinnatus. PERIOD OF RECORD.--June 1938 to September 1964, October 1969 to current year. REVISIONS HISTORY.--WSP 2103: Drainage area. WDR-US-2010: 2005-09. WDR-US-2012: 2011. GAGE.--Water-stage recorder. 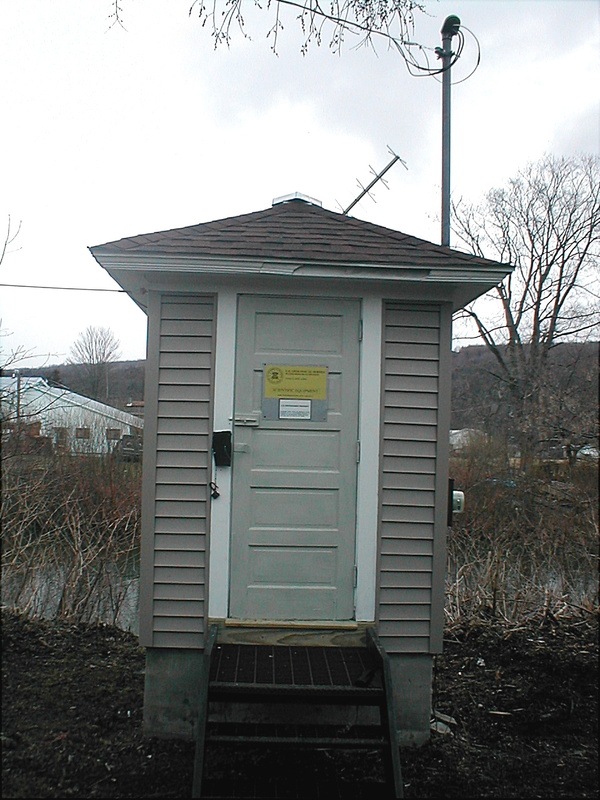 Datum of gage is 1,031.67 ft above NGVD of 1929 and 1,031.11 ft above NAVD of 1988. EXTREMES FOR PERIOD OF RECORD.--Maximum discharge, 8,390 ft³/s, Dec. 30, 1942, gage height, 10.67 ft; maximum gage height, 10.89 ft, Jan. 19, 1996 (ice jam); minimum discharge, 3.8 ft³/s, Sept. 25, 1939.